Naughts & Cross stitches: Please don't forget my giveaway! Please don't forget my giveaway! Well I have one person who is going to receive something for my giveaway as that is all the people entered! You have until sunday to enter on the previous post! Please do! I have been stitching a little tiny bit. Not much though. 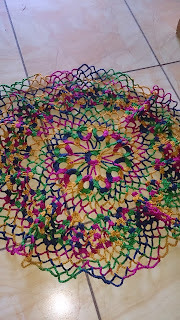 I have been caught by the crochet bug. 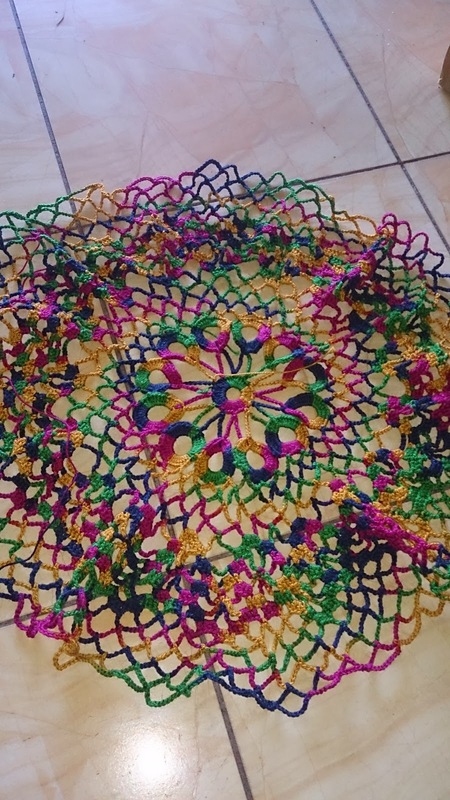 I'm technically stitching a doilie but since the pattern asks me to stitch with a 1mm hook and #20 crochet thread and I'm stitching with a 3mm hook and 4 ply I think it will be a little bit bigger than I thought! It's looking gorgeous though with the rainbow colours. I had to spread it out on the floor because it won't fit anywhere else for the photo. 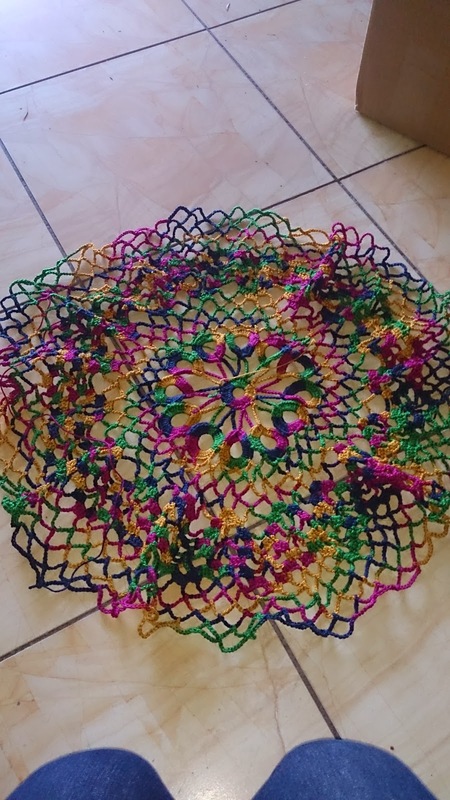 It's no longer a doily it is a table cover. There are still 5 rows to go then I will be adding butterflies to the edge! That looks so pretty! I love it! I'm sorry that I have missed your blog, I am way behind on blog reading but being off sick today means I can catch up!! 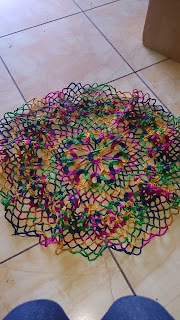 Gorgeous doily. I love the colors. That's really pretty. You're so talented! That is so pretty! It will look stunning over a white cloth on a table. Wow Caitlin that is gorgeous! The colours are amazing. Love it. Small Finish and a giveaway extension!